In the past year, the Texas Senate candidate Beto O’Rourke has been compared endlessly to the great charismatic stars of the Democratic Party. He was Kennedyesque!He was the next Obama! With his boyish grin, rhythmic speech, and unabashedly left-leaning platform, the Democratic former representative was not just the state’s best hope for going blue: According to political strategists across the country, he is among the party’s most promising presidential contenders in 2020. But O’Rourke, who challenged Ted Cruz for his Senate seat, might empathize better with someone like Republican Senator Marco Rubio. Like Rubio in 2016, O’Rourke stole his national party’s heart as a young, handsome, eloquent, prolific fund-raiser. And like Rubio in 2016, his political dreams were dashed by the stubborn demands of the campaign trail. ABC News called the race for Cruz at around 8 o’clock, with just over 20 percent of precincts reporting, highlighting just how frail national momentum can be when faced with long-standing political realities. Ultimately, in a state where a Democrat has not won statewide office since 1994, O’Rourke failed to make the case that his appeal reached beyond the Acela corridor to the voters he would represent. 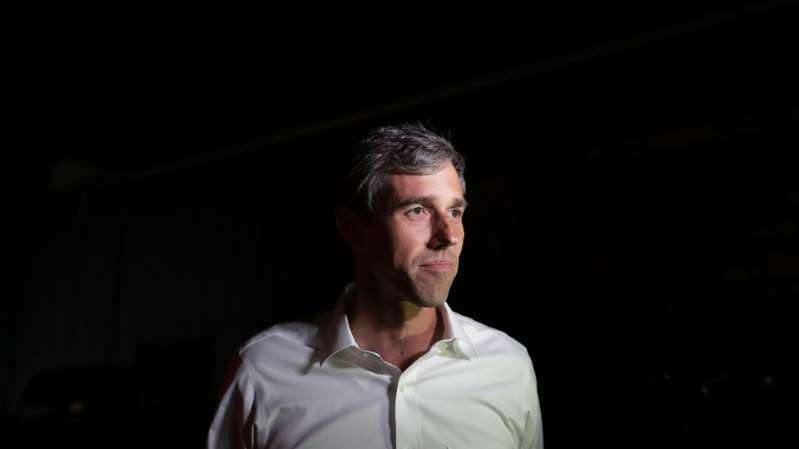 So O’Rourke may very well emerge the Democratic star of 2020, capturing the national imagination with as much totality as he did in 2018. The problem for Democrats in 2018 was that despite all sensational predictions of a wave election, Texas was not ready to turn blue. But Democrats are hoping that two years from now, the nation will be eager to do just that.